There are a variety of DVDs and Blu-rays releasing today, with something for everyone. 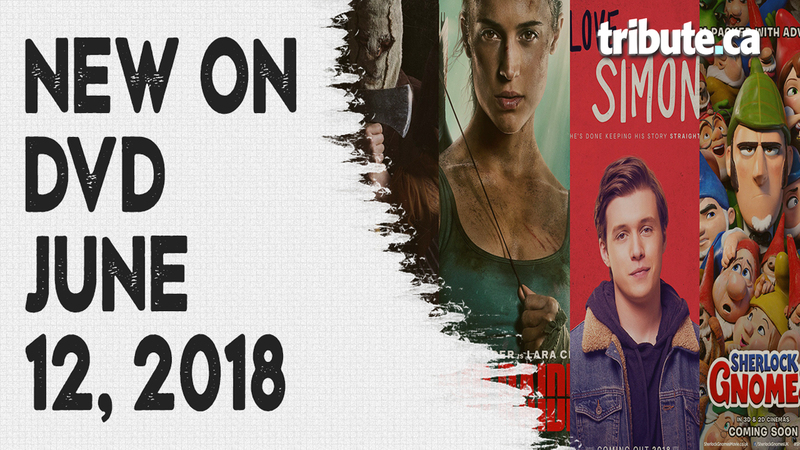 The teen-themed Love, Simon offers Nick Robinson as a popular teen struggling with a secret, while Tomb Raider gives a fresh look at Lara Croft. If you want a good scare, check out The Strangers: Prey at Night. Take a look at all the new releases below! Love, Simon – High school student Simon (Nick Robinson) has a close group of friends. But Simon has one big secret no one knows — he’s gay. He starts writing emails to an anonymous gay classmate online and slowly starts falling for him. They discuss the possibility of coming out to their parents and their close friends, but fear they’ll be ridiculed by the other students. When someone finds out his secret and threatens to reveal it, Simon feels like his world might fall apart. Tomb Raider – Lara Croft (Alicia Vikander) struggles to pay her bills, but is actually incredibly wealthy. However, because her father, Lord Richard Croft (Dominic West), has gone missing on a quest, she doesn’t want to sign the papers that would declare him legally dead, even though it would gain her access to a lot of money. Lara discovers a clue and sets off to find her father on the dangerous island where he disappeared. Click here to watch our interview with Walton Goggins, who plays Mathias Vogel. The Strangers: Prey at Night – A family of four take a road trip to a secluded mobile home park only to find it’s mysteriously deserted. As dark falls, the family is visited by three masked psychopaths, who terrorize them. Their phones are destroyed, the local landlines have been disconnected and there’s no one around to help them. Sherlock Gnomes – Gnomeo (James McAvoy) and Juliet (Emily Blunt) recruit legendary detective Sherlock Gnomes (Johnny Depp) to investigate the disappearances of several garden gnomes. Loveless – After many years of marriage, Zhenya and Boris want a divorce so they can move on with their lives with the new partners they’ve already found. All that stands in their way is their 12-year-old son, Alyosha. Neither parent wants custody of the boy. After Alyosha overhears yet another one of their vicious fights, in which Zhenya admits she never loved the boy, he goes missing. An Ordinary Man – An infamous war criminal and former general (Ben Kingsley) spends his life on the run from international authorities. He’s suddenly moved to a new hideout, where he develops a relationship with the maid that looks after him. But when he discovers she’s actually an agent hired to protect him, he makes a decision that will drastically change both of their lives. The Humanity Bureau – In the future, a government agency called The Humanity Bureau exiles members of society deemed unproductive and banishes them to a colony known as New Eden. Noah Kross (Nicolas Cage) investigates a case appealed by a single mother and her son. Knowing the unjust fate of the innocent boy, Kross decides to save the lives of the mother and child and to expose the truth about The Humanity Bureau’s secrets once and for all.